Being a happy and confident individual, is key to a great relationship. Making sure you feel happy and confident first; will induce this into your environment therefore you can see the importance of being the happiest healthiest you, that you can be. It is all about YOU TIME however this you time we are speaking of has to be well placed and practically helpful to your inner being (spirit). Vertical pole gymnastics is a perfect example of spending time on yourself and for-filling your happy and confidence building needs. When you are on the pole, it is all about you looking after you and guiding yourself, protecting and improving yourself. With the Pole Fitness Studios® program everyone goes at the pace that suits their personal needs. You will be practicing being your perfect aerodynamic self, while building your own pole skills. Pole is a great hobby meanwhile conditioning your body and mind. You can even do an activity like this with your partner plus chatting about your pole and fitness progression is a very bonding experience also! Pole News & Health Tips; Pole Fitness Studios® system upgrades! For example; Signing in is now even easier than ever before with our new electronic system! You will be reminded of all your Pole Membership details, at all times and allows you to give us feedback also. Please note the Timetable 'level' change on a Wednesday night - Pole Fitness Studios® Timetable I hope it suits your needs. There has also been a major Grading Level change. Check out the signs at the studio or this Grade Level Blog for more information. White Band holders need to be well aware of this change. Now all students are required to earn their Blue sweatband too be able to attend Level 1 on the Timetable. 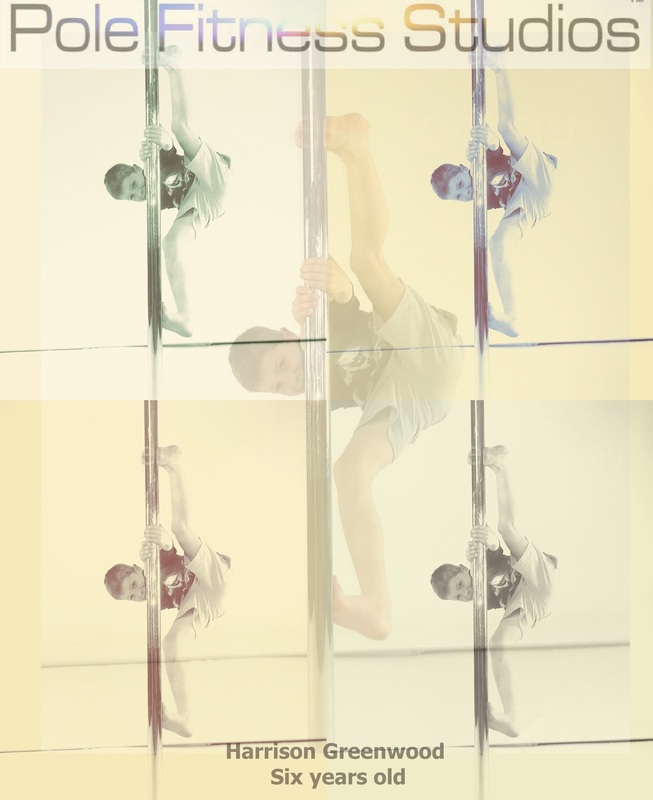 If you are keen to start vertical pole gymnastics at the studio check out the New Beginner Only class options and simply enjoy the ride from there! Some of you may be wondering if Pole Fitness Studios© is offering pole dancing to kids and the answer is definitely not. Perhaps a better question would be; what is the difference between the pole sports and pole dancing? 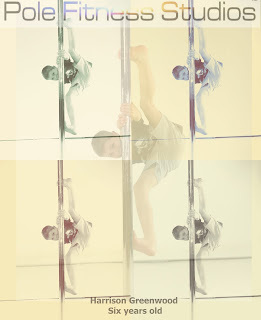 These are pics of my 4 & 6 year old nephews Aston and Harrison, having a fabulous time doing a Pole Fitness© class. I hope this and other blogs I have written will help clarify that this is pure circus style gymnastic fun! Pole Fitness© originated from the same place as all the best inventions = necessity. We started climbing Masts and flag poles eventually pole graduated to circus and regal performances, showing off this beautiful display sport in style. It is a necessity for us all, young and old, to stay active and tap into all our health and fitness needs in the most efficient way. 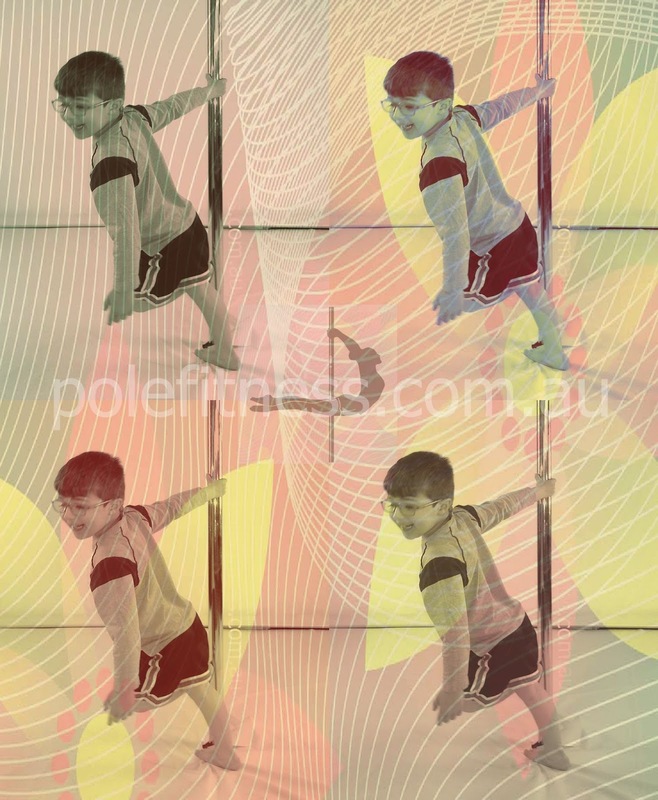 Vertical pole gymnastics is the mother of all gymnastics apparatus for fitness training. It will condition you ready for everything life has to offer, no matter what your existing skill level. Try a class today and change the way you feel about life!